Concept Systems Ltd. is a leading supplier of advanced IT systems, solutions and services to the oil exploration and production industry. Its SPECTRA Integrated Navigation and Control system is accepted as an industry standard for 2D, 3D and 4D marine streamer operations, making Concept a world leader in the supply of real time navigation and positioning products. To further enhance their navigation systems, Concept have now added the unique Appello voice and tone sounders and strobes from E2S, enabling warnings and safety critical alarms, previously only flagged onto the operator's workstation, to be broadcast throughout the vessel, ensuring that relevant personnel are made aware of the situation automatically. The E2S Appello range of high performance voice and tone sounders are unique in that bespoke voice messages, music or sound of up to 2 minutes long, can be stored in a CMOS device containing non-volatile memory cells, providing zero-power storage, ensuring that the message quality does not degrade with time and that it is not lost during power outages. The voice is stored directly into the memory in its natural form, providing high quality, solid state reproduction. During playback, the message can be preceded by one of 45 different user-selectable tones; a visual warning is also given by a Xenon strobe mounted on top of the Appello sounder. 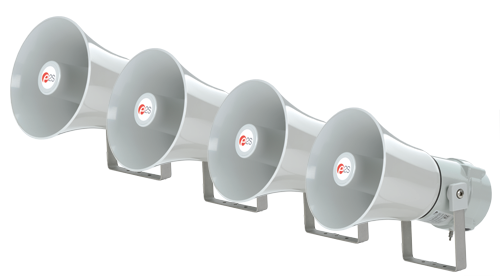 The new version, A121 AX Apello sounder produces up to 111dB(A) @ 1m, giving an effective range of up to 300m @ 1KHz. A Concept Systems designed Alarm Control Unit controls up to six sounders over standard Cat 5E Ethernet cable, which provides 24VDC power on unused pairs, so no local power is required for the sounder units. SPECTRA system communicates with local Alarm Control Unit using industry-standard Modbus/TCP Ethernet protocols - each Alarm Control Unit has a unique network IP address. Setup, test and diagnostics of sounders is made easy using built-in Alarm Control Unit web browser. The combination of alarm tone and voice message enables critical alarms to be easily differentiated from other instrument room, bridge or back deck alarms. In February 2010, an earthquake with 8.8 magnitude occurred off the coast of Central Chile effecting large parts of central and southern Chile. The earthquake triggered a tsunami which hit many coastal areas including the City of Penco with a population of approximately 40,000. 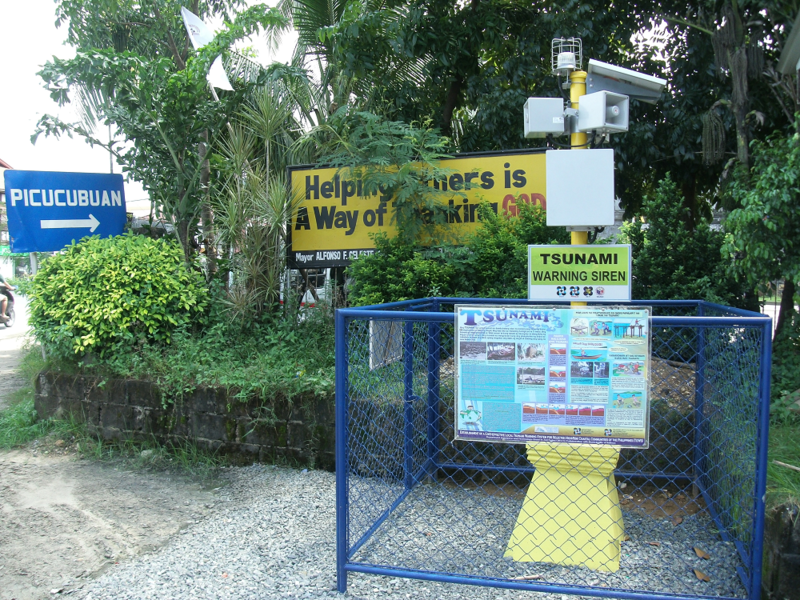 As part of UNESCO’s and the European Commission Humanitarian Aid Department’s (ECHO) project to provide tsunami preparedness and risk reduction, a number of sirens and backup systems were installed to coastal areas to provide an early tsunami warning system. The system was installed and designed by ATECMIN LTDA, an E2S distribution partner in Chile. 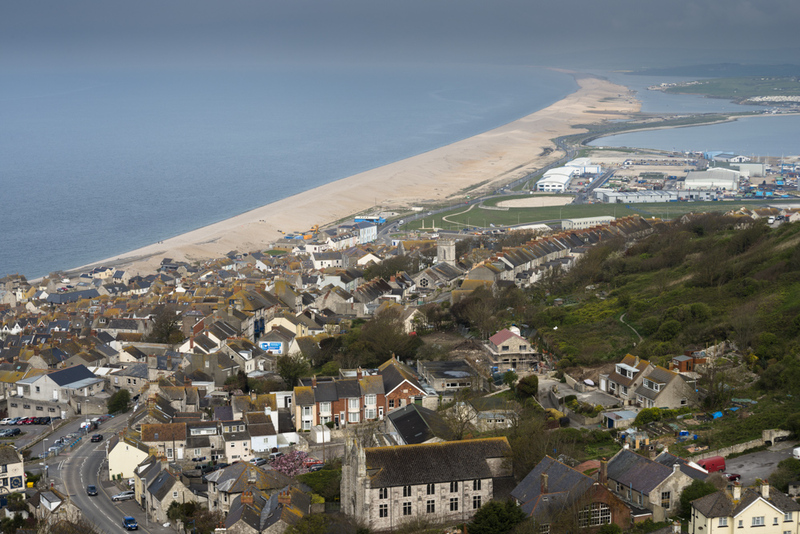 A131 4-horn alarms were distributed along the coast of Penco. Each siren consists of a control panel and battery backup. 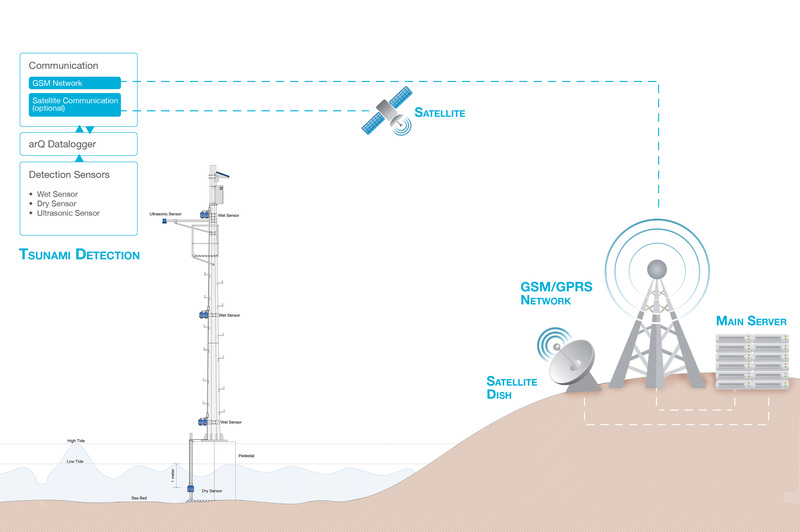 Communication to the A131 alarm system is via radio and can be initiated by the Hydrographic and Oceanographic Service of the Chilean Navy (SHOA) whenever they consider the population of Penco need to be warned of a possible tsunami. 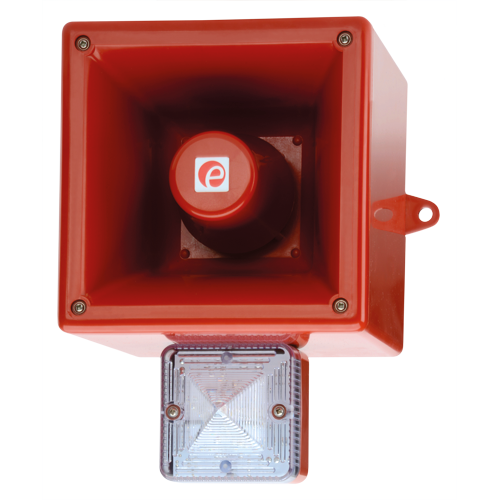 The A131 wide area audible warning sirens have a high output of 131dB(A) @ 1 metre and can be installed with up to four alarm horns with sound coverage up to 300m. The A131 has a battery back-up option which means it can deliver a safety warning even in the event of a power failure, for up to 30 days in standby and 30-minutes alarm assisting greatly in emergency situations such as natural disasters or in other wide area evacuation warning system situations. The tragic accidents and casualties related to pedestrians and vehicles ignoring train level crossing warnings have been well documented in the UK press. Responding to this Network Rail identified that a significant percentage of all safety incidents at level crossings occur when a second train is approaching. In the past, there was no particular method to advise or alert anyone nearby that another train was coming and why the barriers were not opening immediately after the first train had passed. E2S Warning Signals, working with engineers at Network Rail, designed and developed a solution using an alarm horn sounder from the Appello range for use on automatic level crossing sites. 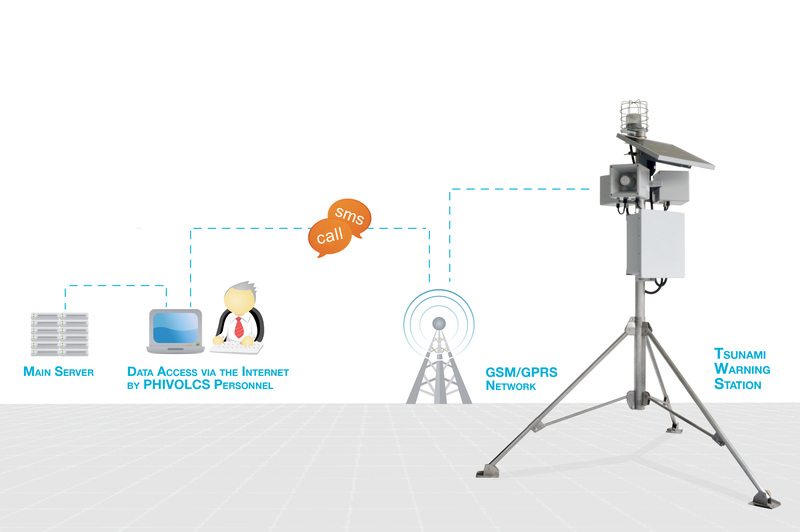 E2S were pioneers in the use of digitally stored voice recording technology. The Appello range offers unparalleled reproduction clarity and output, combining user recordable content with a choice of alarm tones and automatic synchronisation on multiple unit installations. Existing level crossing audible signalling devices only provided an alarm tone warning as the first train approached the crossing. The system provided by E2S added a voice message to the alarm tone to alert anyone present at the crossing of the imminent arrival of a train. Listen to the warning here. Crucially, the multi stage capability of the Appello unit allowed a second voice message and alarm tone to be activated should it be necessary to wait for a second train to pass through before it becomes safe for members of the public to use the crossing. 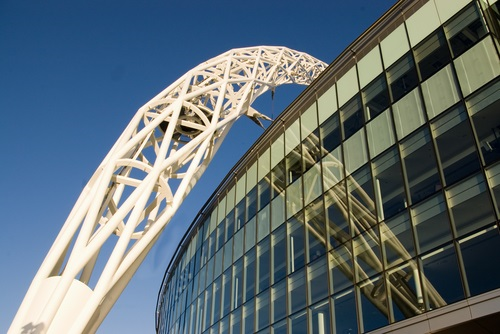 Different alarm tones and message content was trialled before arriving at the most concise and effective wording. E2S were also happy to create the voice recordings for Network Rail. A challenging aspect of the project related to the potential impact the new audible warnings would have on residents of property near to level crossings. The distance at which the Appello unit could be heard increased dramatically at night so custom electronics were designed by E2S to enable the Appello unit to have a remotely selectable day and night time function that reduced the sound level output automatically. During installation the Network Rail engineers are able to set the day and night time volume levels that are appropriate for that site. To provide the control interface, E2S also designed and manufacture custom voltage regulator modules that are mounted in the track side cabinet. Network Rail believes that the notification of additional trains approaching the crossing will significantly improve overall crossing safety. The Network Rail acceptance certificate number is PA05/04380. For videos for safe use of level crossings, please visit the Network Rail Website – Level Crossings section. 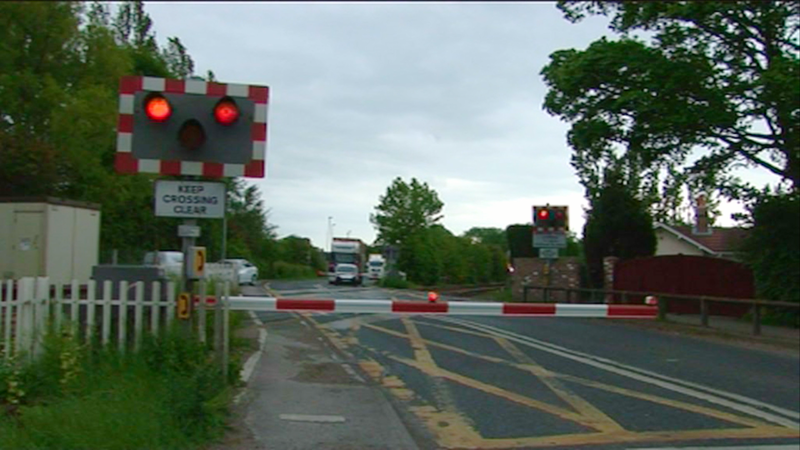 Network Rail Article - Voice warnings to improve safety at level crossings.